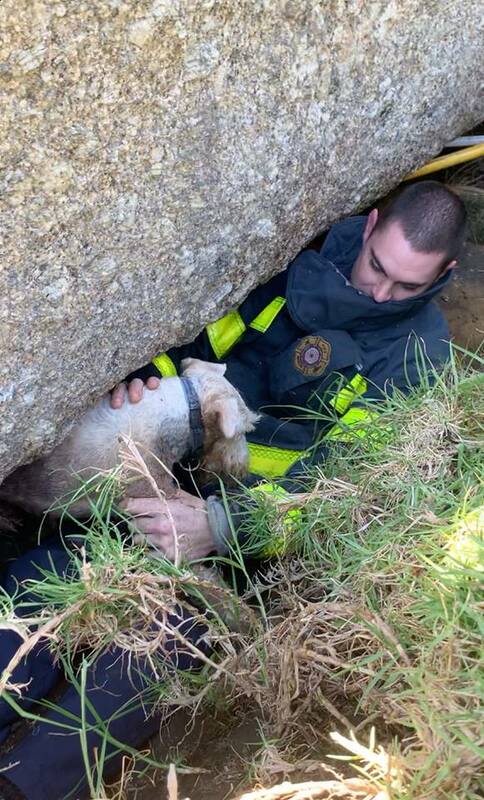 ​A Simon’s Town dog has been rescued after becoming trapped under a boulder while chasing a dassie. 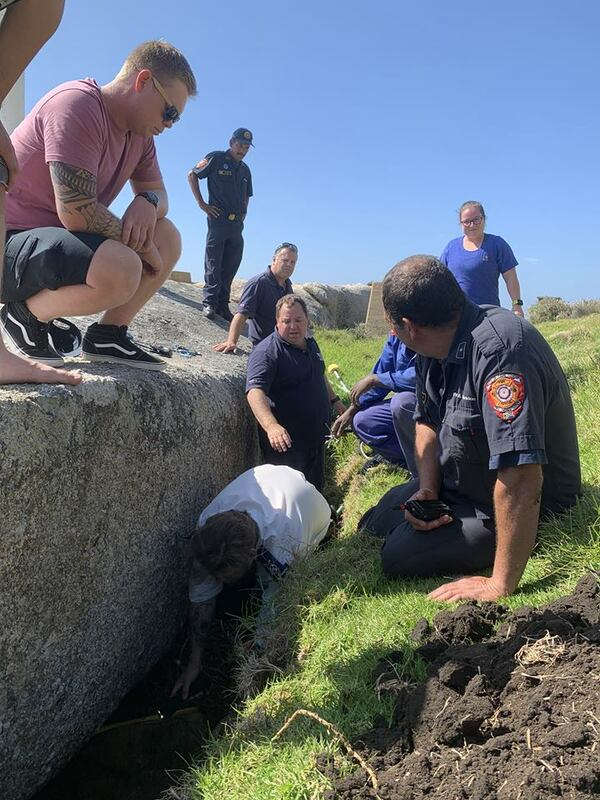 At 11h00 on 10 April 2019, private ambulance company Cape Medical Response received a phone call from a Simon's Town resident asking for assistance with a dog wedged tightly under rocks but not knowing who else to call. 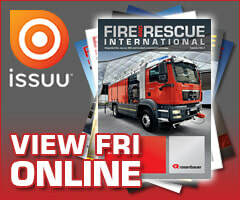 Upon arrival, the dog, Simon, was found about three-metres deep under a very large boulder. 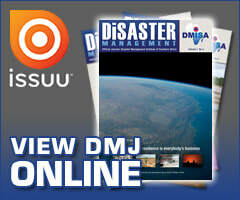 He had been chasing a dassie when he wiggled himself into the crevice and was not able to free himself. 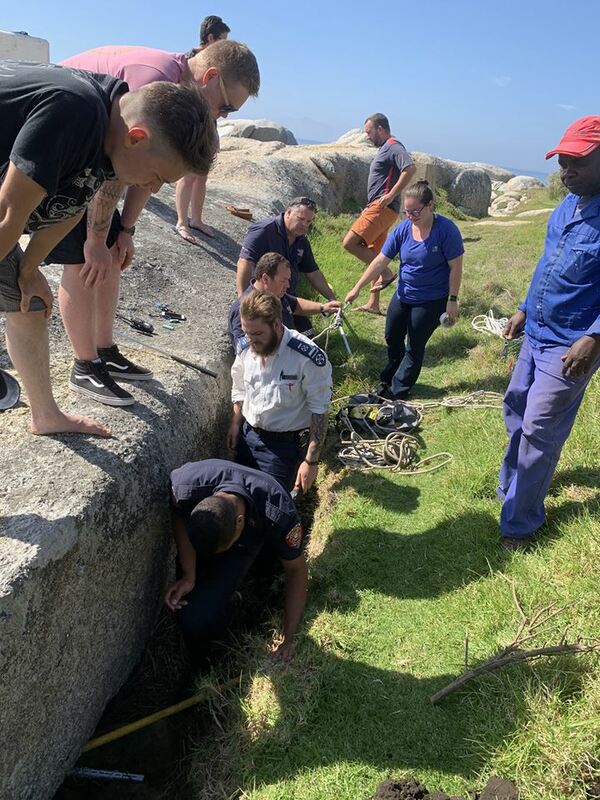 Darren Zimmerman of Cape Medical Response requested assistance from NSRI Station 10 Simon's Town, Simon's Town Fire Station, Tears Animal Rescue and Cape of Good Hope SPCA. Simon was able to be hooked by his collar to bring him closer to the responders using a ceiling hook from the fire department and a dog catching device from the SPCA. They managed to manoeuvre Simon out of his entrapment. Simon was trapped for about an hour and only suffered a bit of a fright and dirty paws from the experience. After a rinse, he was his usual self again.